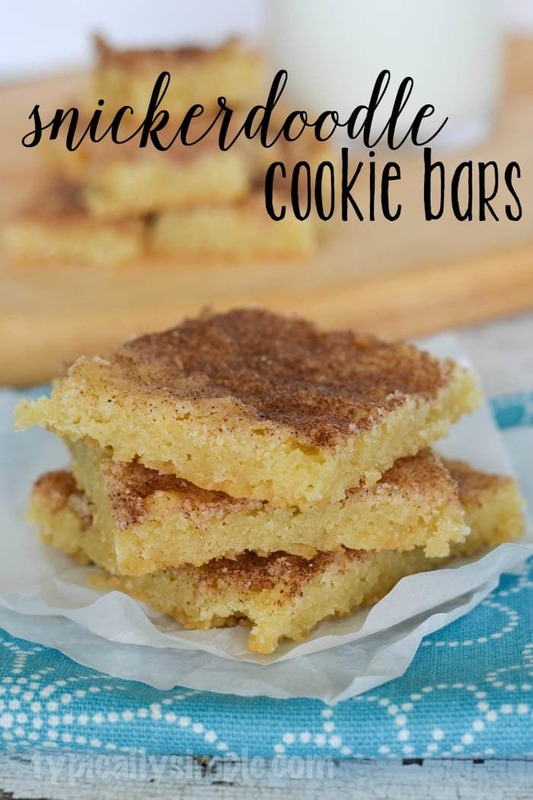 These Snickerdoodle cookie bars are simple to make and so delicious that you won’t be able to eat just one! Hi there! 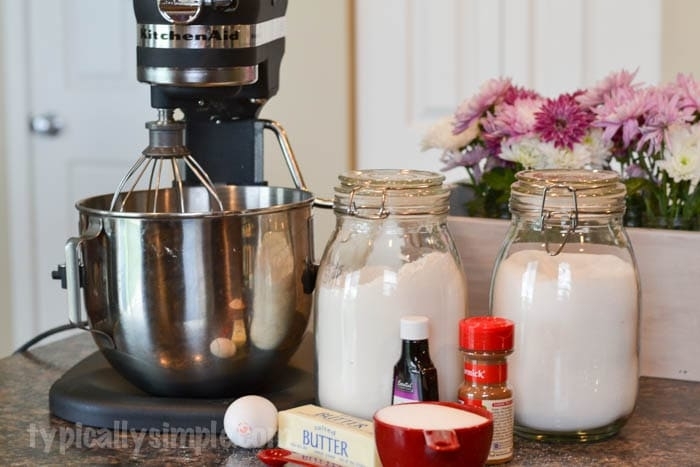 It’s Kelly from Typically Simple and I have a super easy recipe to share with you all today! Snickerdoodles are one of my favorite cookies…okay, let’s face, all cookies are my favorite. But I love the faint cinnamon and chewy goodness of Snickerdoodles. The thing is, whenever we made Snickerdoodle cookies from scratch, they always turned rock hard a few days later. It was quite frustrating and even though I would have liked to, eating a few dozen cookies in two days just wasn’t going to happen. 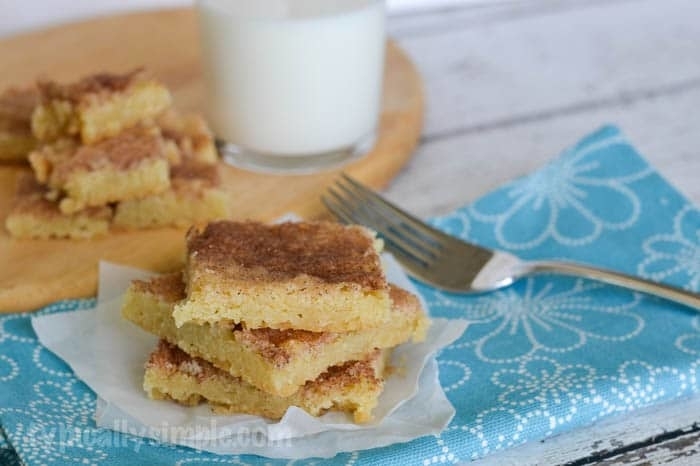 So I tried making Snickerdoodle cookie bars and they turned out perfect! The ingredient list is simple – I had everything on hand for these. 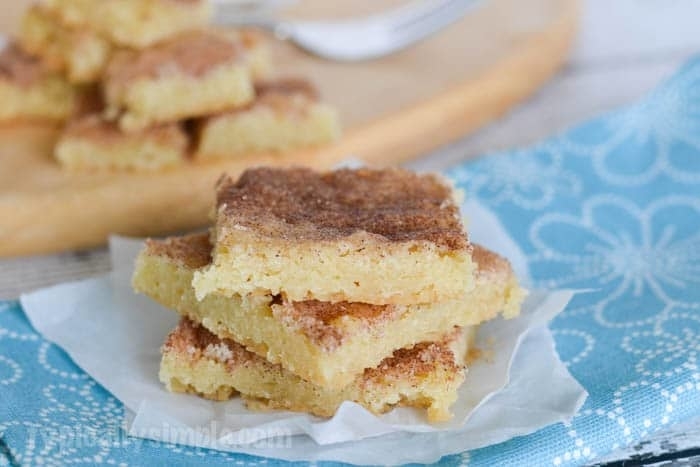 Great for when you need a last minute baked treat for a party or get together. And clean-up is minimal! 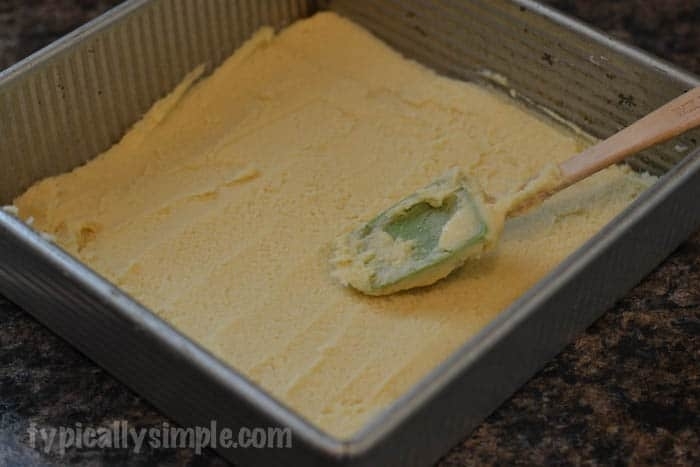 Bake for 25-30 minutes until edges are lightly browned. Cool completely before cutting into bars. Store in an airtight container. These would be great to make with the kids! With simple measurements and ingredients, they would have lots of fun baking these “on their own” or with a little help from a grown-up. We like to enjoy ours with a cold glass of milk as an after dinner treat! 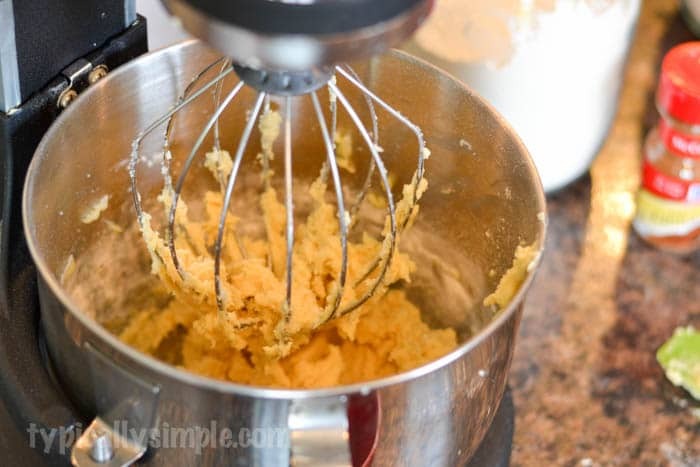 Looking for another easy recipe? 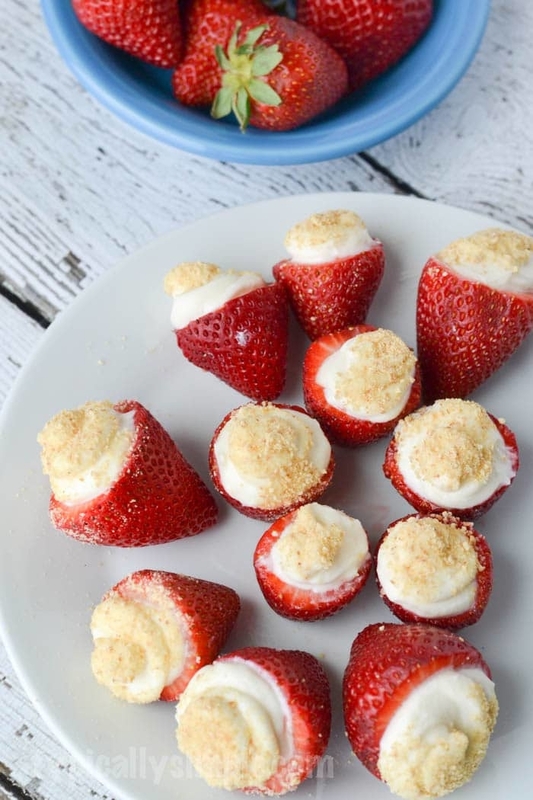 Check out my No Bake Strawberry Cheesecake Bites. 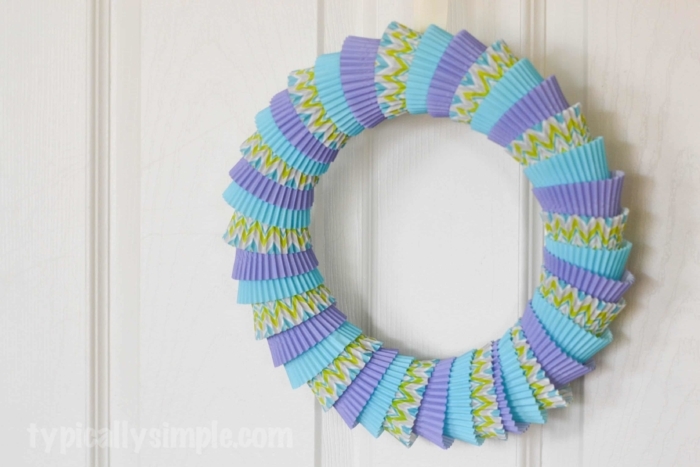 I also share lots of simple, family friendly crafts on Typically Simple, including this Cupcake Liner Wreath. 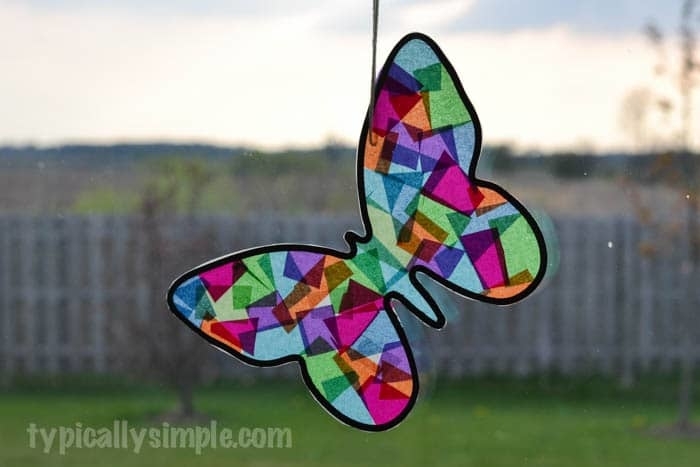 And one of my favorite kids’ crafts to make – Stained Glass Butterflies!